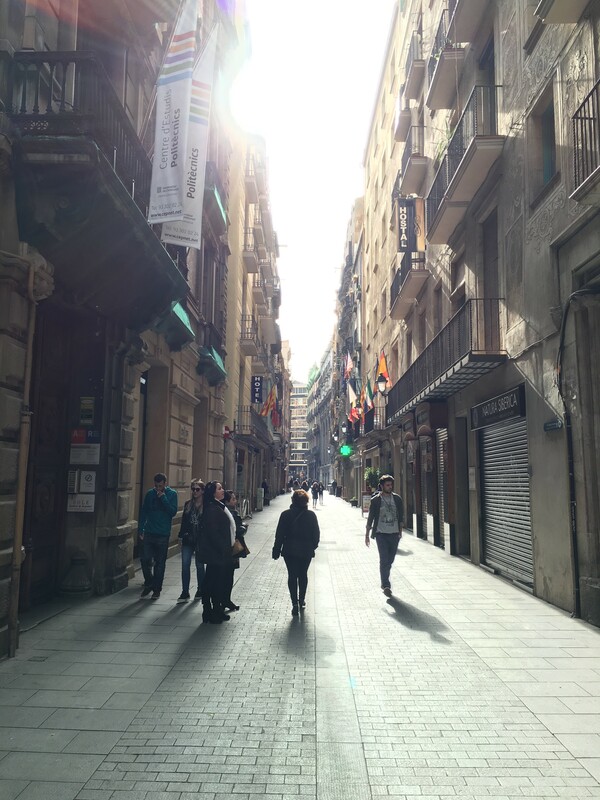 La Rambla is one main street off of Plaça de Catalunya, but the best part about it are the little streets that shoot off of it. These side streets were where we found our favorite stuff– from cute clothing stores to the best bubble tea we’ve ever had. 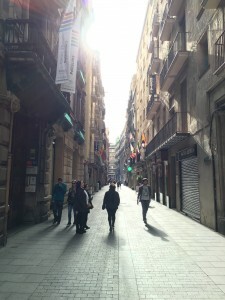 While La Rambla is the main attraction, the smaller streets stole the show for us. 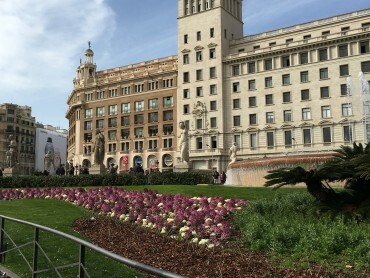 We decided to tour the city by walking everywhere and decided this is the best way to do it! We would have missed so many great things by taking taxis everywhere. 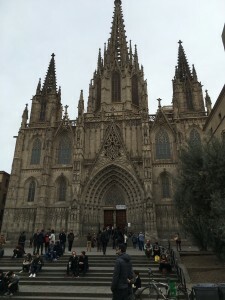 For example, we happened to stumble upon the Catedral de Barcelona, a beautiful towering cathedral that comes out of nowhere in the middle of the city. The Mediterranean coast! 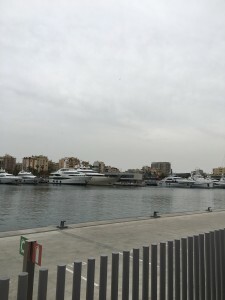 We didn’t see any sand but we did see a lot of Yachts. We took a quick walk to the sea just to say we did it. 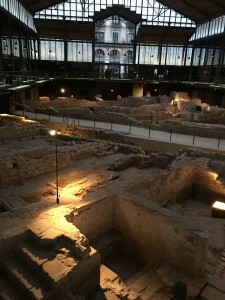 Mercat del Born in the El Born district is a fascinating museum depicting the way life used to be in Barcelona through the ruins of a market. 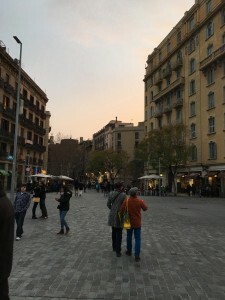 The sunset was amazing while we walked around choosing a place to end the day with a traditional tapas meal.